With more than six decades worth of available hindsight, music fans can now tell the bands able to stand the test of time and maintain a fan base through the ever changing fancies of style. If we were tasked to make a list of these enduring bands, Pink Floyd would be somewhere in the top ten. 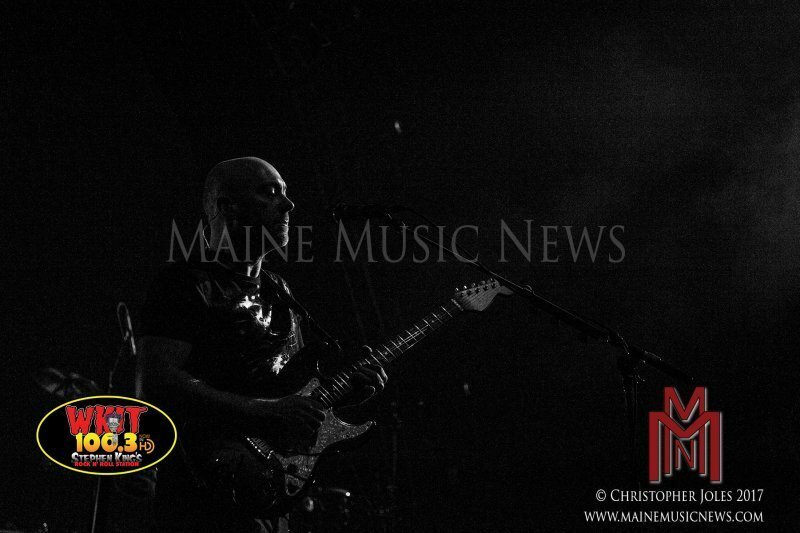 If anyone disagrees with that statement, I’ll offer you this as proof – Brit Floyd, a band billing themselves as a Pink Floyd tribute show, can pull a crowd into Bangor, Maine’s Cross Insurance Center on a drizzly April evening just to hear Floydian melodies played live. That, my friends, is music standing the test of time. Let’s get straight to the elephant in the room, or the big flying pig in the room, and address this idea of a tribute band. Brit Floyd isn’t the sort of tribute band that shows up for the Halloween party down at the local K of C Hall. No, certainly not. Known and respected internationally, Brit Floyd members act as ambassadors of the legacy of Pink Floyd, bringing the music and groove of Floyd to life on stage for audiences to enjoy. The night’s setlist was extensive, filling the two plus hour show with Floyd favorites and highlighting the depth and variety in the band’s catalog – from industrial to psychedelic to acoustic and beyond. There was no shortage of effects, including a stage video show that blended well with the mood and message of the songs, and my favorite: spotlights and sound effects mimicking a helicopter searchlight. Ending the night with a great rundown of Pink Floyd must haves – including “Money,” “Wish You Were Here,” and “Run Like Hell” – Brit Floyd gave fans a great evening. Check out their upcoming shows at www.britfloyd.com and get your soul recharged.